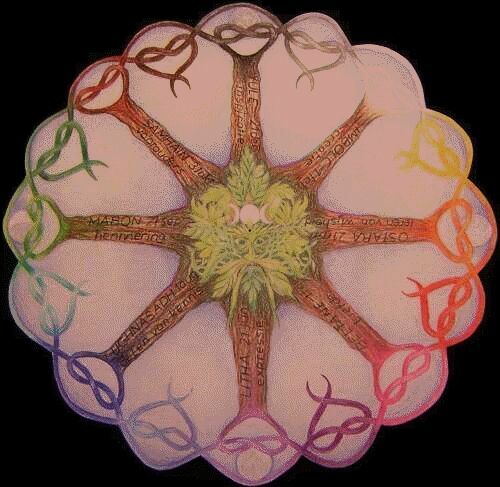 Lughnasadh is a traditional mid-summer harvest festival, The name Lughnasadh itself, which means 'corn king' is of Southern Irish origin, and relates to the harvest of early wheat in these areas. Lughnasadh was a time for feasting and games, much like the modern Olympic Games, and took place around the time of the first harvest. 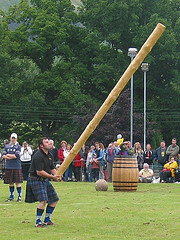 Games of this form can be seen in the traditional Scottish Highland Games which take place during the summer months. 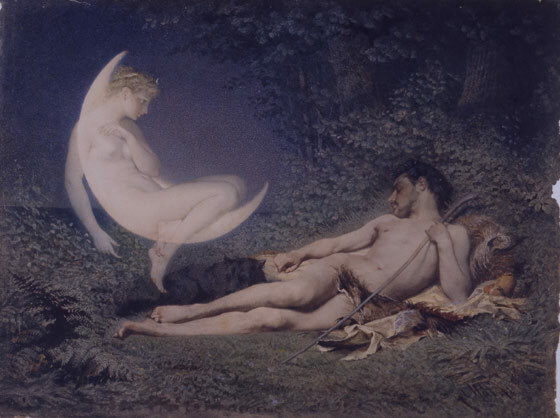 In Irish mythology, Lugh, who symbolizes the harvest, is brought to find a wife. However, none can be found and one is fashioned for him out of flowers. 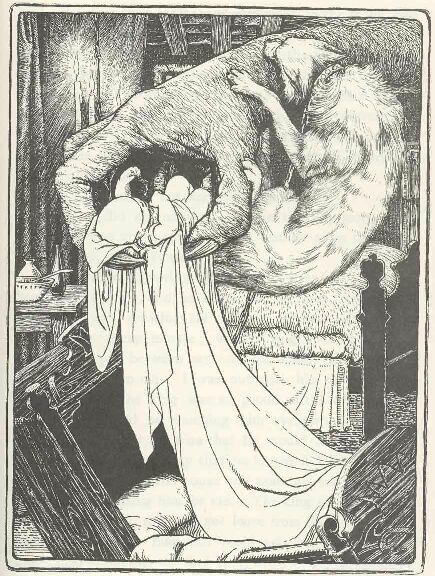 However, his flower bride is lured away by another and Lugh is killed in the ensuing battle. 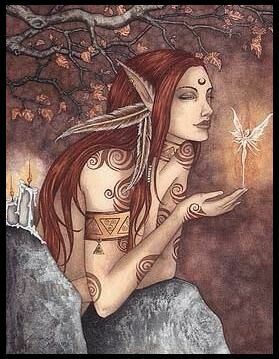 The killing of Lugh symbolizes both the harvest, and the end of summer, which is seen at Samhuinn. 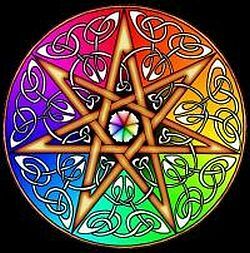 It is a common tradition at Lughnasadh for hand-fastings to take place. These are a form of marriage, where each party agrees to remain together for a year and a day - if after this time they are still together they would be considered man and wife, but if they wished to part they could do so after this time. So there's always been a part of me that could not quite reconcile inside myself the thought of belonging to an "...of North America" group...and as I was contemplating this during yet again the last Dark Moon, it hit me that we needed to change our affiliation, and the name of that affiliation...to something more Universal, and more Earth-centered...and what I kept seeing was, "Reformed Druids of Gaia" - which contains the global concept, and I liked the sound of belonging to something "...of Gaia" - of the Earth Mother! An eisteddfod is a typically Welsh festival of literature, music and performance. The tradition of such a meeting of Welsh artists dates back to at least the 12th century when a festival of poetry and music was held by Rhys ap Gruffydd of Deheubarth at his court in Cardigan in 1176, but with the decline of the bardic tradition fell into abeyance. The present-day format owes much to an eighteenth century revival arising out of a number of informal eisteddfodau. The word eisteddfod is derived from the Welsh word eistedd, meaning "sit". The most important eisteddfod is the National Eisteddfod of Wales, held annually in the first week of August and usually alternating between North and South Wales, and taking place entirely in the Welsh language. Another important eisteddfod in the calendar is 'Eisteddfod Yr Urdd', or the youth eisteddfod. Organised by Urdd Gobaith Cymru, (the largest youth movement in Europe). It brings together children from the age of 7, up to young adults of 24, from all across Wales, for a week of competition of singing, recitation, dancing, acting and musicianship in the summer half-term school holiday. This is the largest youth festival in Europe. Regional heats are held in advance of the final competition. As with the national eisteddfod, the Urdd Eisteddfod moves location, although with the establishment of the Urdd headquarters in the Wales Millennium Centre, the eisteddfod will return to Cardiff every four years. 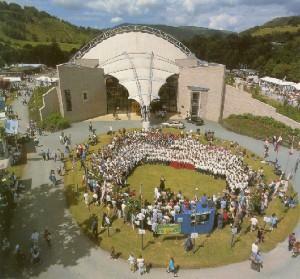 Another Eisteddfod is the International Eisteddfod, held annually in Llangollen. 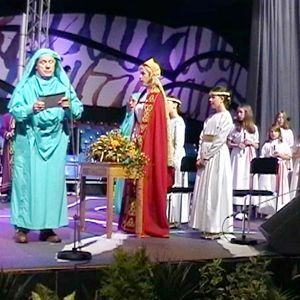 Choirs, singing groups, folk dancers and other groups attend from all over the world, sharing their national folk traditions in one of the world's great festivals of the arts. It was set up in 1947 and begins with a message of peace. 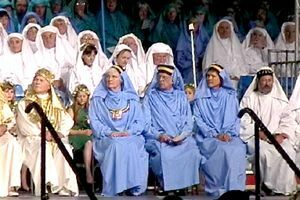 In 2004, the eisteddfod was (unsuccessfully) nominated for the Nobel Peace Prize by Terry Waite, who has been actively involved with the eisteddfod. Smaller-scale local eisteddfodau are held throughout Wales: advertisements for them may appear in the back of the newspapers or on posters locally. Schools hold eisteddfodau as competitions within the school: a popular time for this is on Saint David's Day. The National Eisteddfod is the largest and oldest celebration of Welsh culture, unique throughout Europe as each year it visits a different area of Wales. 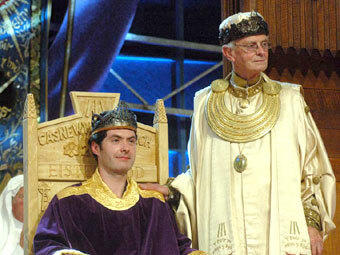 Eisteddfod literally means a sitting (eistedd = to sit), perhaps a reference to the hand-carved chair traditionally awarded to the best poet in the ceremony 'The Crowning of the Bard'. 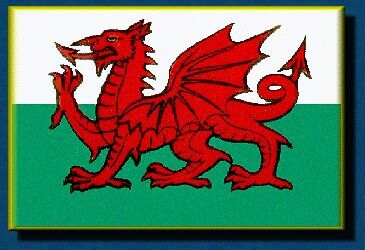 The National Eisteddfod of Wales dates back to 1176 when it is said that the first Eisteddfod was held. Lord Rhys invited poets and musicians from all over Wales to a grand gathering at his castle in Cardigan. A chair at the Lord's table was awarded to the best poet and musician, a tradition that continues today in the modern Eisteddfod. Following 1176, many eisteddfodau were held throughout Wales, under the patronage of Welsh gentry and noblemen. Soon the Eisteddfod developed into a huge folk festival on a grand scale. After declining in popularity in the 18th century, it was revived in the early years of the 19th. In 1880 the National Eisteddfod Association was formed and since then the Eisteddfod has been held every year, except for 1914 and 1940. The Gorsedd of Bards (Gorsedd y Beirdd) made its first appearance at the Eisteddfod at the Ivy Bush Inn in Carmarthen in 1819, and its close association with the Festival has remained. It is an association of poets, writers, musicians, artists and individuals who have made a significant and distinguished contribution to Welsh language, literature, and culture. Its members are known as Druids, and the colour of their costumes - white, blue or green - is indicative of their various ranks. 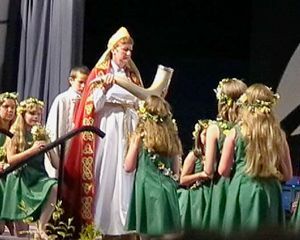 The head of the Gorsedd of Bards is the Archdruid, who is elected for a term of three years, and is responsible for conducting the Gorsedd ceremonies during Eisteddfod week. These Ceremonies are held to honour literary achievements amongst Welsh poets and prose writers. - The Chairing (Cadeirio) of the Bard (for the best long poem) . 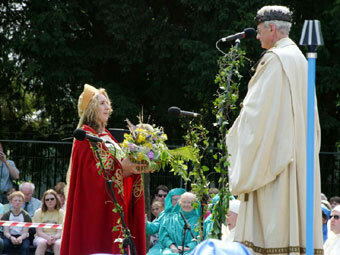 During these ceremonies the Archdruid and the members of the Gorsedd of Bards gather on the Eisteddfod stage in their ceremonial robes. When the Archdruid reveals the identity of the winning poet, the 'Corn Gwlad' (a trumpet) calls the people together and the Gorsedd Prayer is chanted. The Archdruid withdraws a sword from its sheath three times. He cries 'Is there peace? ', to which the assembly reply 'Peace'. 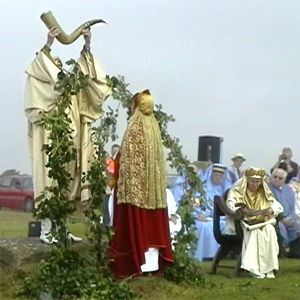 Then the Horn of Plenty is presented to the Archdruid by a young local married woman, who urges him to drink the 'wine of welcome'. A young girl presents him with a basket of 'flowers from the land and soil of Wales' and a floral dance is performed, based on a pattern of flower gathering from the fields. 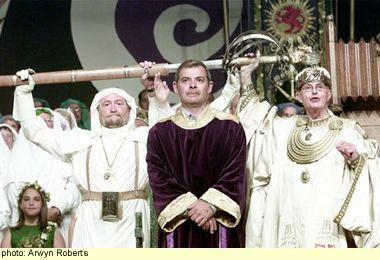 The Gorsedd ceremonies are unique to Wales and the National Eisteddfod. As well as the traditional ceremonies there is another side to the Eisteddfod: maes yr Eisteddfod, the Eisteddfod Field. Here you find lots of stalls associated mainly with crafts, music, books and food. Music competitions and radio shows take place in the Theatre y Maes( the theatre on the field). There is also a societies tent, a literature tent and the very popular live music tent - only songs in Welsh can be performed. The learners tent is for teachers and students of the Welsh language. Each year, Welsh people from all over the world return to Wales to take part in a special welcoming ceremony staged during Eisteddfod week. The ceremony is organised by Wales International, an association of ex-patriates from all over the world. The Wales International ceremony is held within the Eisteddfod Pavilion on the Thursday of Eisteddfod week. There is also an Eisteddfod held twice a year in the Chubut province of Patagonia, South America, in the towns of Gaiman and Trelew. This Eisteddfod started in the 1880's and includes competitions in music, poetry and recitation in Welsh, Spanish and English. 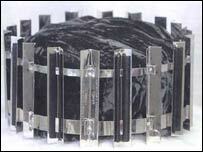 The winner of the best poem in Spanish receives a silver crown. 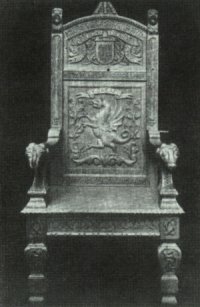 The ceremony to honour the best poet in Welsh, the Bard, involves a religious ceremony asking for peace and health and involves the Chairing of the Bard in an ornate carved wooden chair. The main Eisteddfod at Trelew is a very big gathering with visitors from all over the world. 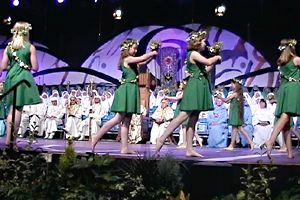 To allow for the sensitivities that exist between North and South Wales, the Royal National Eisteddfod takes place alternately in North and South Wales. If you do not speak Welsh you will have to rely on the similtaneous translations, as the event takes place solely in the Welsh language. 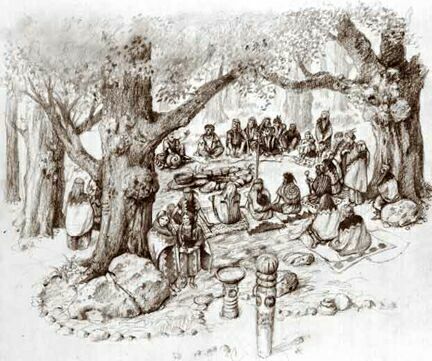 The Eisteddfod (meaning "sitting together" or "gathering") evolved from ancient bardic tournaments in which apprentice poets and musicians would compete against each other for a seat of honour in the households of noblemen. Winning such a tournament was a certain passport to employment, for poets depended on the patronage of wealthy noblemen and landowners for their livelihood. Today it is a unique celebration of Welsh language, art, culture and heritage. These tournaments were in existence as long ago as the 10th century, when Hywel Dda, a Welsh King, is reputed to have awarded a seat of honour to a poet in his household during a competitive meeting at his court. 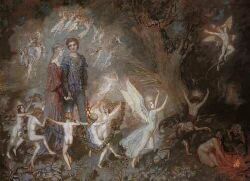 A 12th century manuscript refers to a similar gathering at Lord Rhys ap Gruffudd's castle in Cardigan in 1176, which included poets and musicians from all over Wales. The Caerwys Eisteddfod of 1523 was an important milestone in the Eisteddfod's development as it regulated the patronage system and graded poets and musicians according to rank and status. At the beginning of the 19th century, an Eisteddfod of historic significance was held at the Ivy Bush Inn in Carmarthen. By this time, the Eisteddfod was no longer confined to poetry but had developed into a fully fledged folk festival on a much larger scale. 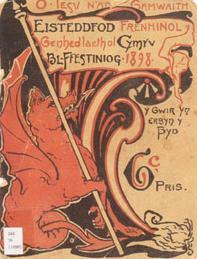 The first National Eisteddfod as we recognise it today was held at Aberdare in Mid Glamorgan in 1861. In 1880 the National Eisteddfod Association was formed and charged with the responsibility of staging an annual festival. Wales has other Eisteddfodau, including the Urdd National Eisteddfod (for the youth of Wales) and the International Musical Eisteddfod - which is held each July in the town of Llangollen, in North Wales. The first International Musicial Eisteddfod was held in 1947, with the aim of promoting peace between nations after the war-torn years of 1939-45, through the international language of music. This week-long Eisteddfod attracts 2,500 competitors from over 40 countries. In addition to the daily music, singing and dancing competitions, gala concerts are performed in the evenings. nor how quickly he raced. 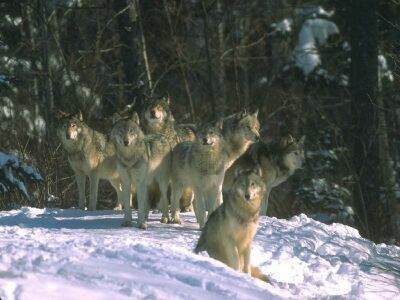 Set off from the pack. And her stride matched that of her fellows. Hanging around with this crowd. Soft footsteps crunching on snow are unheard. 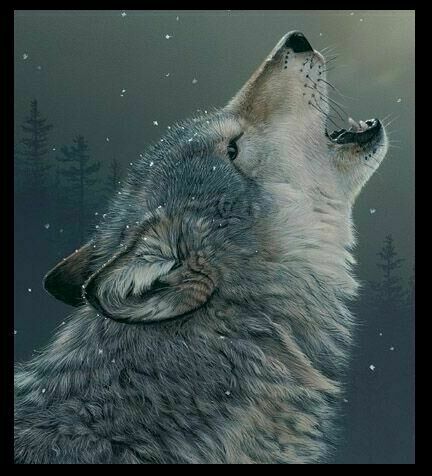 From depending on the skills of the pack. One almost yearns now for the beauty of that harshness. And revels in the sharp scent of Earth. 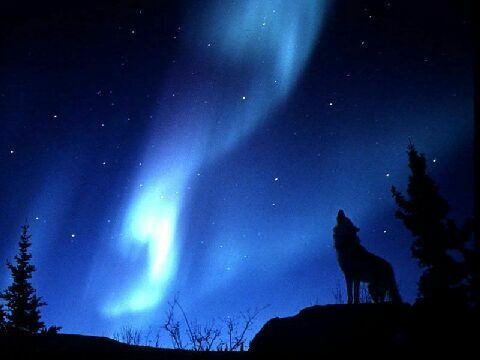 To the aura of indigo nights. Some special things are happening this Fall, and I just want to mention them as they may have an impact on you. 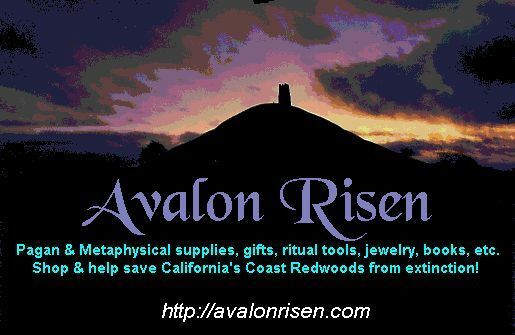 First, there is the "First Annual West Coast Gathering of the Reformed Druids of Gaia (and friends)." 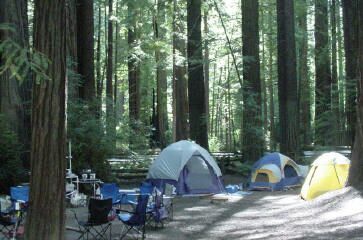 This event is taking place here in the Redwoods on the weekend of Sept 22nd - 24th. ALL OF YOU ARE INVITED TO ATTEND!!! Those of you who are former or lapsed OMS members have an opportunity here. You will be reinstated to active status just for attending! Further more, your reinstatement to the Order will be for a minimum of 3 years. How can that be? Between now and October 31st, dues for everyone are $12/year, so you can renew your membership and once again enjoy the benefits of OMS membership for just $12 a year for life! Attending the Gathering will therefore pay your dues for a minimum of 3 years or up to 5! Even now you fade into the dry brown turf. Fades into the leaves under your head. Your blood and bones return to Me. So that all can live again as the Wheel turns. Growing, flourishing. He will be born when the snow flies. How can I let you go, beloved? 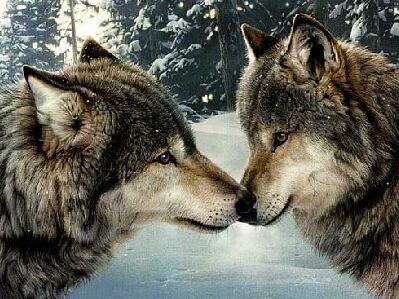 I bend to kiss your lips, they fade against mine. You smile, and slowly, slowly, sink into invisibility. My tears fall where you were. O remember Me till I hold you again! 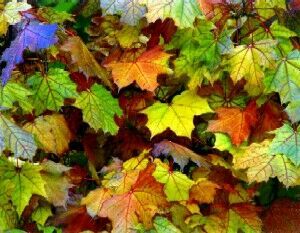 leaf by leaf, till the bores of tall trees rattle and scrape in the wind. 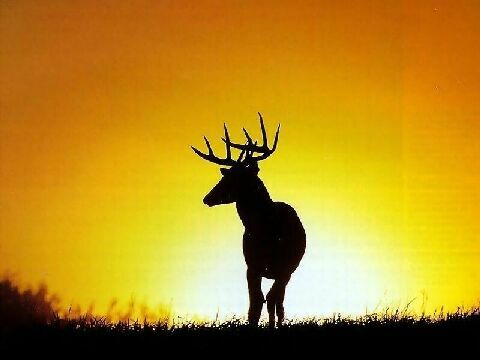 The word “Mabon” is from the story of Mabon ap Modron, “the son of the mother”, the Divine Youth. Mabon is taken when he is three nights’ old. His whereabouts are shrouded in mystery; it is through the wisdom and memory of the most ancient animals (Blackbird, Stag, Owl, Eagle, and Salmon) that we understand where he is and why. 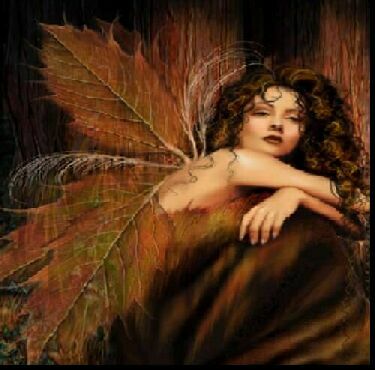 Mabon dwells in His Mother’s womb, the Otherworld, in a place of challenge, nurturing, renewal, regeneration and new life. 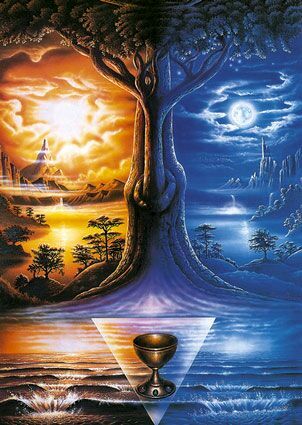 Just as the light is now being drawn into the earth accumulating strength and wisdom, to become a new seed, Mabon has returned to his Mother’s womb. again will be; what is, is change. 139 members are ordained First Degree Druids. 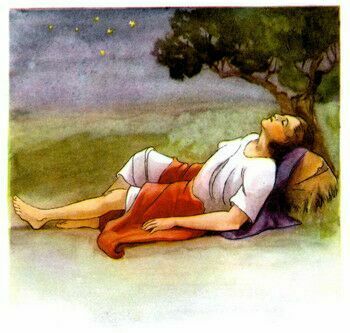 Today is Lughnasadh, Lammas, or August 1, 2006 CE. 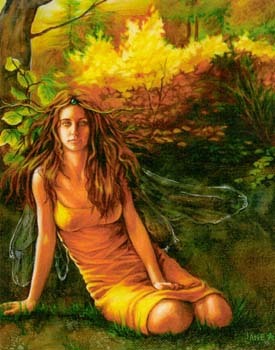 The Feast of Lughnasadh began at Sunset on July 31st. 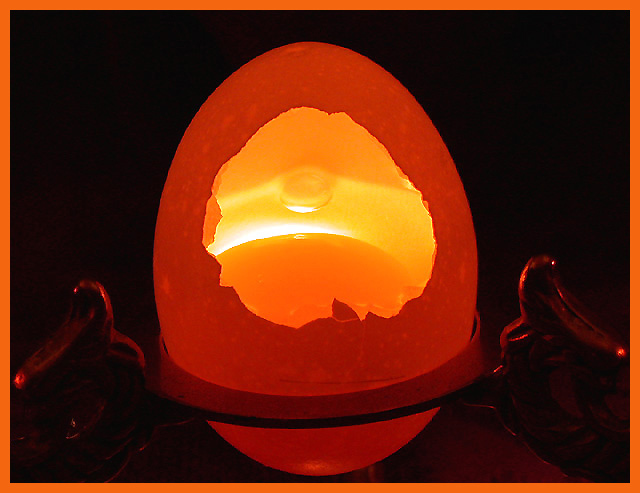 It is the 1st day of the Season of Foghamnhar, and the 1st day of the Month of MÌ na Lynasa. 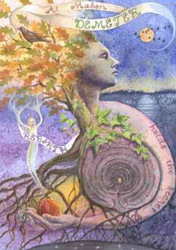 9 Foghamnhar - FULL MOON Celtic tree month of Muin - Vine, begins. 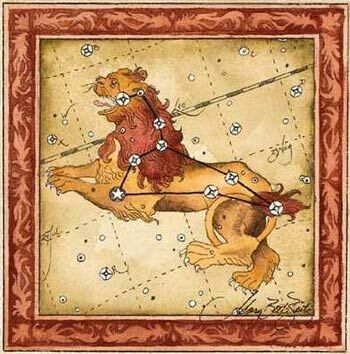 22 Foghamnhar - The Sun enters Virgo. 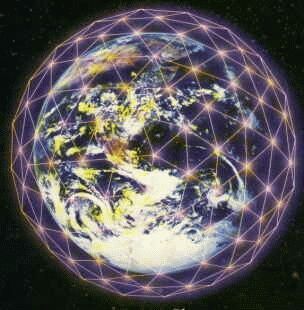 37 Foghamnhar - Oberon Zell applies James Lovelock's Gaia Theory to Neo- Paganism, 1970. 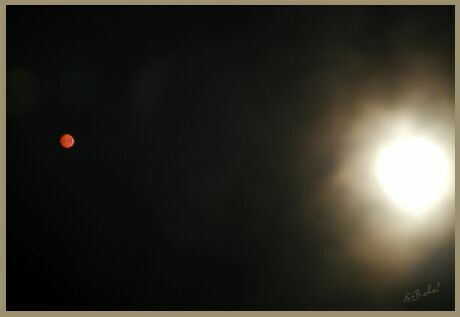 38 Foghamnhar - FULL MOON. Celtic Tree month of Gort- Vine begins. 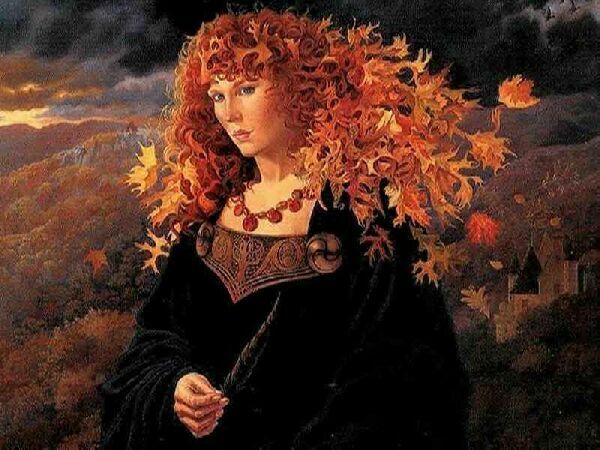 53 Foghamnhar - Mabon / Alban Eluid, or the Autumnal Equinox. 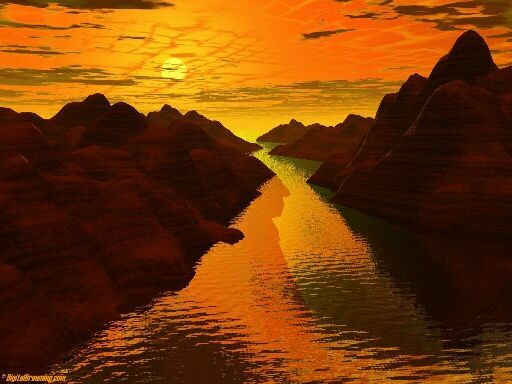 The Sun enters Libra. 62 Foghamnhar - Deireadh Fuhmhair (October) begins (a Sunday - Dydd Sul -- Day of the Birch). 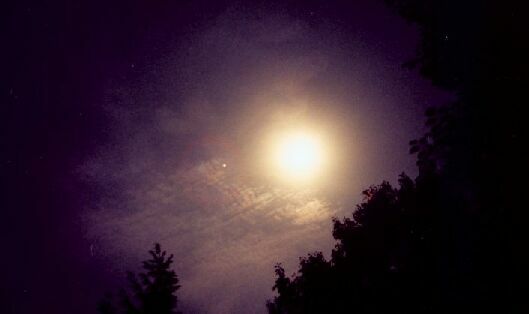 67 Foghamnhar - FULL MOON. Celtic Tree month of Ngatal- Reed begins. 92 Foghamnhar - The Festival of Samhain (Halloween / Calan Gaeaf). 1 Geimredh - The Season of Geimredh begins at Sunset (1 MÌ na Samhna, November 1, 2006).